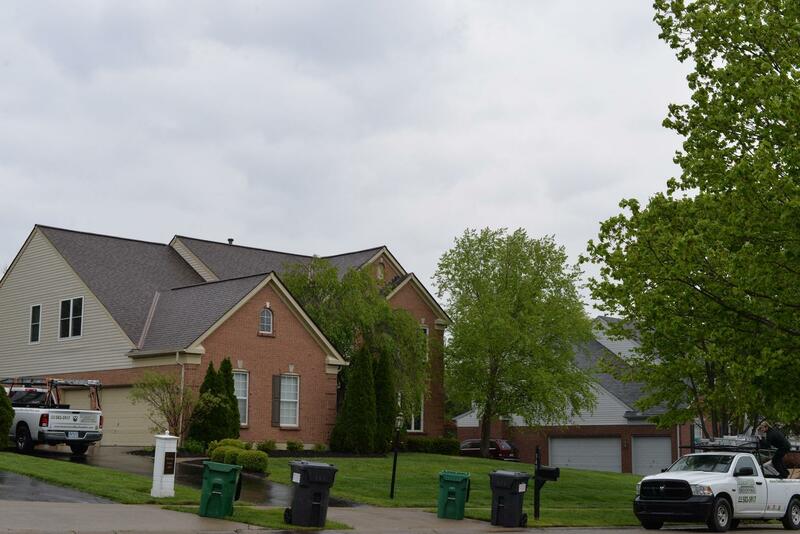 We installed this new roof ( Owens Corning "Duration" Quarry Grey) in Loveland Ohio. We used Owens Corning Duration Shingles in the color teak to completely transform the look of this home. Complete new "Owens Corning Roofing System". If you live in Loveland Ohio, and are in need of any residential roofing work, Guaranteed Roofing can help. 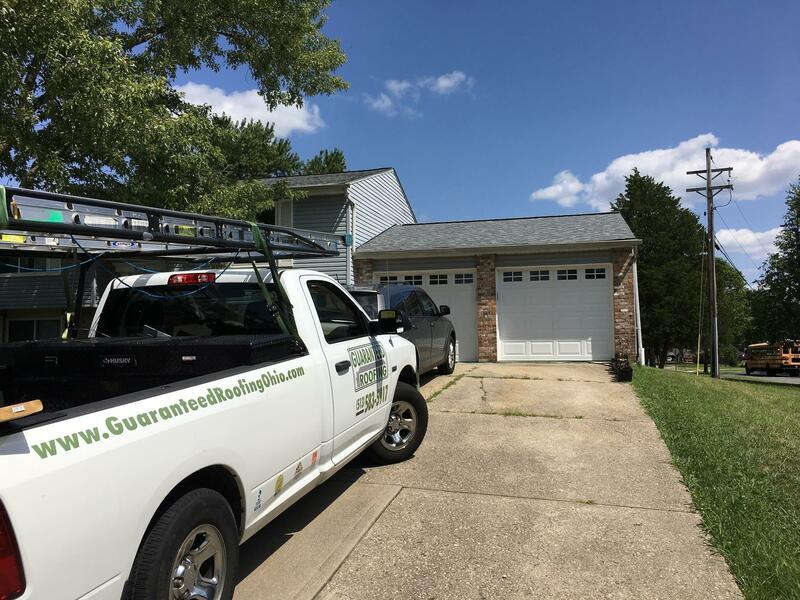 Here at Guaranteed Roofing, we have been serving Loveland Ohio for years and have hundreds of satisfied customers, so it’s safe to say we’ve seen it all! Every roof will eventually wear down due to the general wear and tear of age, and Guaranteed Roofing has the solutions for everything from wind damage to broken shingles, roof leaks, and more. Whether you need general roof repair and maintenance, a professional roof inspection, or a complete roof replacement, we can help! When you’re ready to upgrade to a replacement roof or a new roof installation, Guaranteed Roofing offers asphalt shingles and energy-efficient shingle roofing that is certain to boost your home’s curb appeal, property value, and weather resistance! We understand that your home’s protection starts with your roof, and we will do everything we can to keep your home safe from the outside elements. When you schedule your comprehensive roof inspection with our roofing experts, we will advise you on whether roof repairs or a roof replacement are needed and help you choose the best option for your home and budget. We also offer great labor and material warranties for all our roof replacements. As a full-service roofing company, we can help with more than just your roof! Guaranteed Roofing also offers siding repair, fascia repairs, soffit repairs, gutter repairs and siding replacement for Loveland Ohio homeowners. We can repair vinyl siding, aluminum siding and fiber cement siding. We also do a lot of work on wood fascia, aluminum fascia, vinyl and wood soffits. We can keep both the top and sides of your home safe and looking attractive. 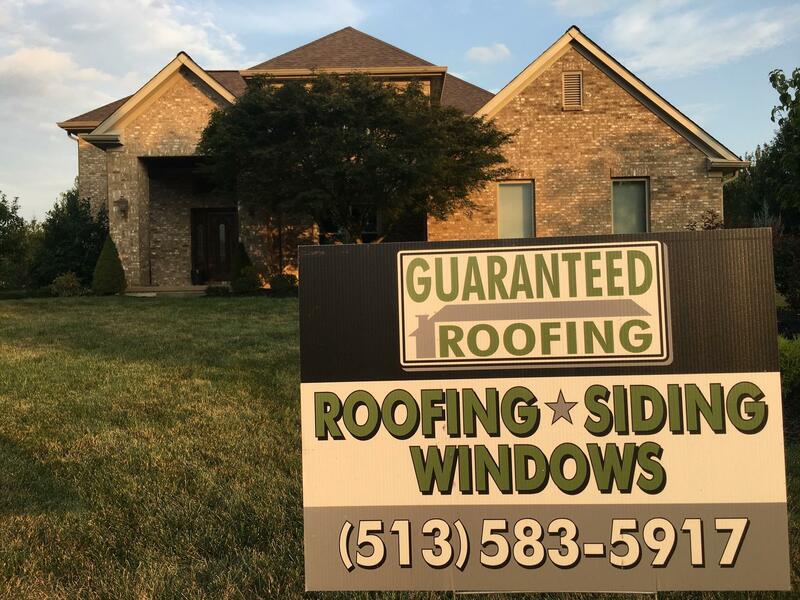 Guaranteed Roofing is a local roofing and home improvement contractor that you can rely on for roof repair, roof replacement, and siding installation. Get a free, no-obligation cost estimate in Loveland, OH or a nearby city or town. Our customer service is second to none!